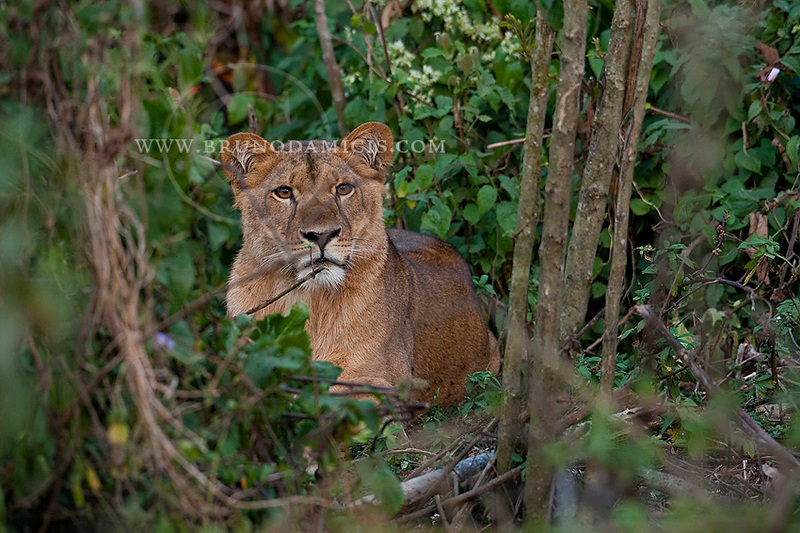 My camera documented Africa lions in montane rain forest for the very first time! Last January I have been working for a second time on assignment for the German NGO NABU in the Unesco Man and Biosphere Reserve of Kafa, in Southern Ethiopia. My "top-secret" duty there was to search for lion signs in the lush montane rain forest of the Region, where frequent rumors of sightings and attacks on livestock spread among local people seemed to confirm a constant presence of the species at such unusual altitudes and thus claimed for an inquiry. It has been a rather unorthodox search for lions. I didn't only work, in fact, from a Land Rover driven along dusty roads, but went also backpacking on the steep slopes of Kafa only with the company of my interpreter Muluken and the aid of local hunters. 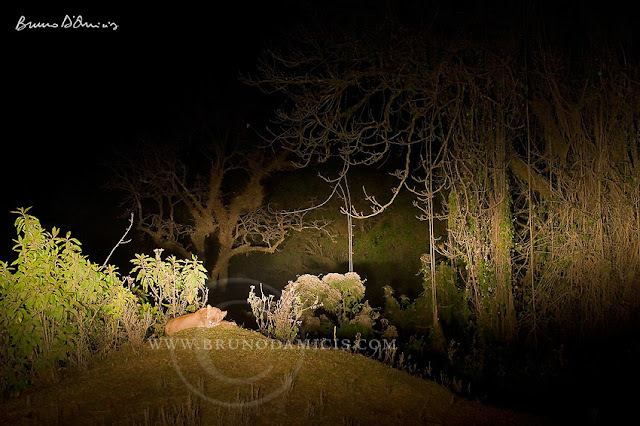 For days, we crossed streams, bushwhacking in the forest and sweating a lot: the guides kept on saying that we were close, that "they have been seen there yesterday", that the "grass has been bent by a lion sleeping" and so on. It reminded me of my search for bears in the European mountains. I was very skeptical. Well, I will make it short for now and save the end of the story for a future, longer post or magazine article together with many more images. 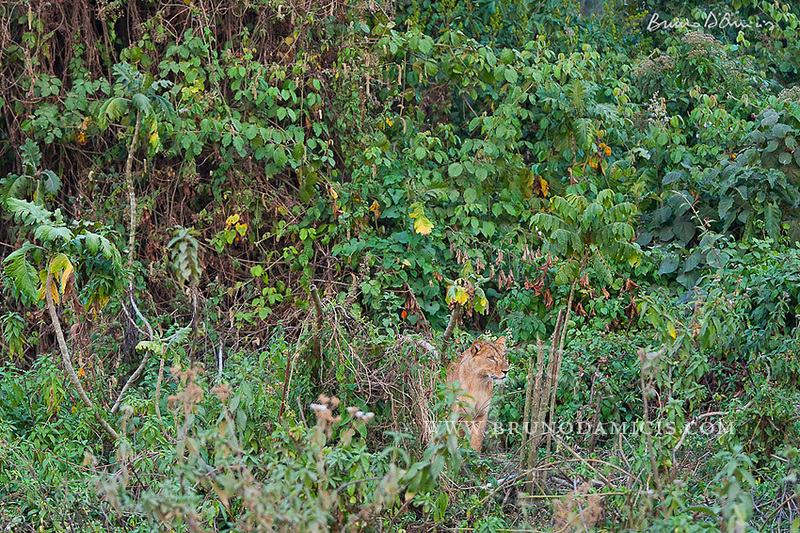 What matters now is that, on the next day, I was finally able to spot and photograph a lioness half-hidden in the lush, evergreen vegetation of the Afromontane rainforest: a sighting so beautiful and unusual, that it reminded me of Henry Rousseau's paintings, and which possibly represents the very first time that this species has been documented living in the rain forest at more than 2500 meters above sea level. So, yes, it is true: in the jungle, the mighty jungle... the lion sleeps tonight! The news is so groundbreaking that the press release is now echoing through all the media and getting really viral! I am glad to have contributed with my images to the amazing conservation work carried out by NABU staff and partners to save this last wild corner of Ethiopia and its unique forests: again an example that conservation photography does exist and does really work!